PlayerUnknown Battleground’s upcoming map, Savage, returned to experimental test servers yesterday with a new coat of paint. In addition to adding more buildings and new textures, the update brings incredibly loud and annoying doors to the starting area. 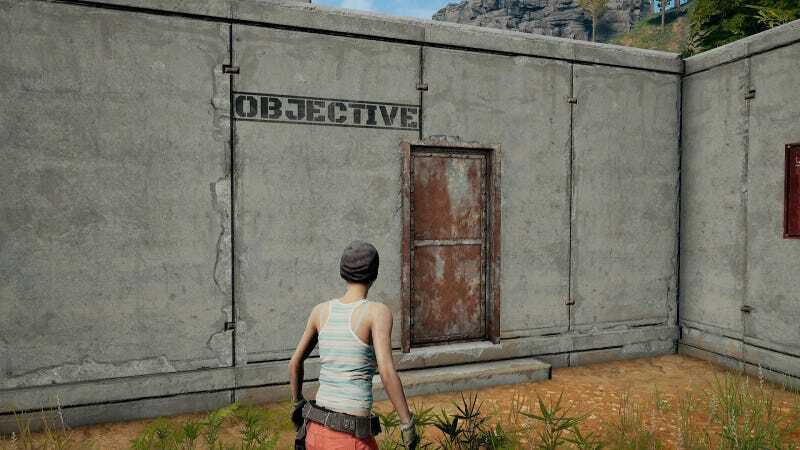 During the last round of testing, these doors didn’t have a unique sound The new excessive noise is almost certainly a gameplay concern first—the loud doors makes it easier to locate enemies hiding in the maps dense, multi-layered compounds. However, locations like Bootcamp Alpha or the Training Center are risky places to drop into since they attract a lot of enemies and it’s more likely that judicious players will only know these loud doors from the pre-game warm up. But it’s also possible that could change in the future, as the map is only in a closed test on a limited access server and changing all the time. In January, PUBG removed weapons from the starting area of its original map, Erangel. The warm up area was stocked with all of the games weapons for players to fire and test, turning the waiting period before a round into a mess of shuffling players and incessant gunfire. The high concentration of players and resulting chaos from weapons caused stability issues. I find these doors strangely charming and find their stupid loudness gives Savage’s pre-game a silly mood in-line with the map’s faster pace. So, if you’re reading this Mr. PlayerUnknown, please don’t remove these stupid doors.